Understanding your staff’s ability to adapt to the new software is crucial to planning for training. Without this proper assessment, training may result in a lack of ability for your staff to grasp content during application training. Staffing schedules will need to be managed very efficiently during the implementation process to accommodate different learning styles. Some staff may be able to function in the system seamlessly right after training, while others may need more time to absorb material and practice prior to go-live. For those with little to no technology background, consider offering basic computer literacy training opportunities. By doing this, you can allow for the staff to be adequately prepared to attend and understand the content during their application training sessions. Additionally, if resources allow, provide staff who have significant prior experience in the designated EHR system, the opportunity to “test out” of classroom training to minimize time away from their practices prior to go-live. Determine which functionality each staff person needs in the new system. Staff members will require varying levels of functionality within the system depending on their job roles. Some users may only need to view files while some may need to perform more complex functions. Training should be relevant to each job role and workflow to maximize training efficiency and staff satisfaction. Using tip sheets and e-learning whenever possible can be very useful to distribute less complex training, especially under time constraints. Only allow users to attend trainings that align with their designated roles. Everyone does not need to be an expert in each application within the system. Staff members will already need to dedicate sufficient time, whether it’s during their normal work schedule or other hours. By ensuring staff are only being trained on relevant material to their roles you can maximize training efficiency while minimizing time away from their departments. It is important to appoint some staff to be super users. The super users will serve as at-the-elbow support in the EHR system for their designated department after go-live. Super users should be staff members who have a good grasp on technology, learn new material quickly, and communicate well with their peers. Super users should be among the first users to be trained in their appropriate applications for their departments. Having super users can provide end users with additional clarification of content and workflows. You can prepare these super users for their at-the-elbow support by having them proctor some of the end users’ training classes. During these proctoring sessions, super users can provide added support to the certified trainer’s classes by assisting users, who are having difficulties following along. In addition, proctoring can be very useful because it will both reinforce the content for the super user as well as give him or her some primary exposure to at-the-elbow support. During an EHR implementation, staff engagement is key. 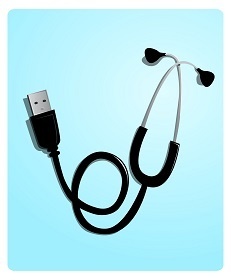 Many can be reluctant to change to a new EHR implementation. It is imperative to convey an optimistic outlook throughout the process. Positivity can be contagious and minimize resistance to change across the institution. When staff are optimistic about the change, they will be more engaged during the training process. Staff training is critical when implementing any new EHR system. Transitioning organizations can be significantly challenged by the learning curve associated with this change. However, following these few steps can minimize the effects the learning curve may have on your organization and allow for staff to make a smooth transition while continuing to provide high quality patient care.